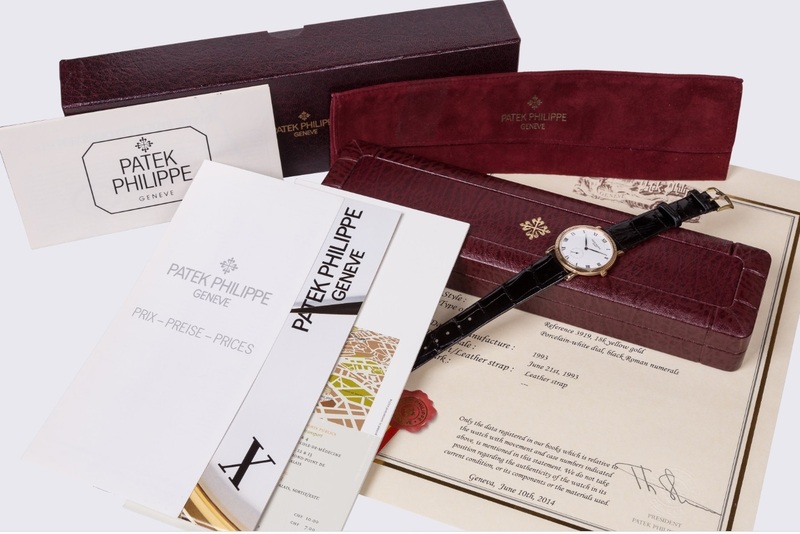 Calatrava is a flagship model of the Patek Philippe manufactory. The offered product is in mint condition. Finish of the Clous de Paris bezel, a small second at 6 of the clock and the original Patek Philippe alligator-skin strap are synonymous with sophistication and the class of manufacture. 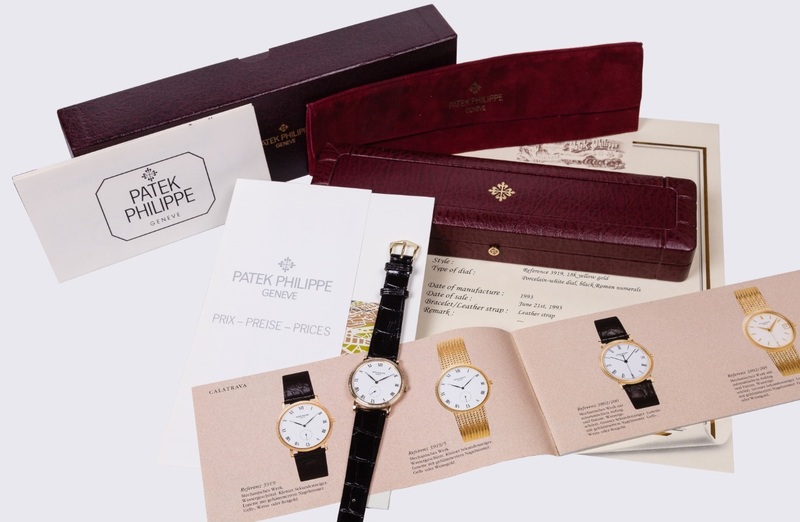 The watch comes with the original box and Extract from the Archives. Patek Philippe ref. 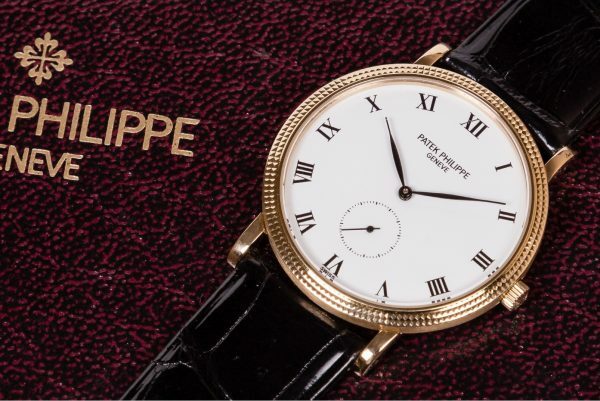 3919J, Calatrava in yellow gold, Patek Philippe, Genève, “Calatrava”. Fantastic, round, 18k yellow gold and buckled Patek Philippe watch made in 18k gold and the original alligator-skin Patek Philippe strap. The case comprises two parts and full lid, and is both polished and brushed, Clous de Paris, sapphire crystal. Size – 33,5mm without the crown. Silver dial with Roman numerals. Manual mechanism Caliber 215PS, branded with the seal of Geneva, rhodium-finished, with faussescotes adornments. 18 stones, Gyromax balance set with respect to heat, cold, isochronisms, in 5 positions. Cushioning system. Dial, case and mechanism are all branded. Comes with the original Patek Philippe box, Patek Philippe’s Extract from the Archives, Patek Philippe booklet, Atelier Tempus certificate and 1-year warranty.